How did Captain Sully combine thermodynamics with flying? We should actually thank Captain Chesley Sully Sullenberger for his incredible skills at gliding an engineless jet safely into the icy waters of the Hudson River without any loss of life or major injury to the passengers and crew. The skill Sully had mastered was that of gliding. Gliding entails a fixed wing object using the pressure of moving air to create lift to counter the force of gravity. The Chinese invented kites as early at 500 BC. In ancient Chinese and Indian cultures the kite was used to ward off evil spirits. Leonardo da Vinci developed a design for the ornithopter as a device to mimic the flight of birds. Leonardo believed humans had enough muscle power to take off and fly. Alas even to this day no person has accomplished this. A German engineer Otto Lilienthal was the first true airman in history. He demonstrated in a repeated way that controlled glider flight was possible. When Otto was 14 he attempted to fly using Leonardo’s ornithopter design. After repeated failure Otto realized that flight could not be achieved merely by a flapping of wings. In 1889 Otto published a book titled “The Flight of Birds as a Basis of Aviation”. Otto determined that birds do not only gain thrust by flapping their wings but also from the propeller-like action of their primary feathers. Otto also calculated the size of a wing that is needed to support a certain mass. In 1891 Lilienthal built and flew the first truly successful glider in history. The hang-glider of today is based upon it. Otto made over 2000 flights from 1891 till 1895. His longest glider flight was a quarter of a mile at an altitude of 75 feet attained by having a running start from a 50 foot hill. Otto unfortunately died the day after his longest flight due to a malfunction of his glider when he fell down the very same 50 foot cliff. The history of motorized aviation starting from the Wright Brothers to today’s jets draws on the experience and knowledge gained by folks like Lilienthal. Jets have very large carbon emissions due to their high speed, large mass and therefore very powerful engines. Without the thrust of their jet engines they are simply too heavy to stay aloft for any extended period of time. Sully did prove however that the engineless jetliner with a mass of 70 tons can be glided for about 5 miles beginning from an altitude of 3,200 feet. The probable speed of the jet on impact into the Hudson was only between 120 and 140 miles per hour. Sully accomplished this by extending the wing flaps to the maximum position, thereby slowing the plane as much as pos sible without putting it into a tail spin. In the past 50 years of jet aviation this is the only emergency water landing a fully laden plane that ended without any fatalities. Sully is the hero of the Hudson and he proved that there is no substitute for experience and cool nerves using the laws of physics to control an un-powered flight. Lilianthal looking down at US Air Flight 1549 from up there must have remarked “I knew it could be done”. Did Abraham Lincoln talk about sustainability? The new president has been inaugurated and we are embarking on a new road toward a less energy intensive lifestyle. Next month we will celebrate the 200 hundredth anniversary of President Lincoln’s birth on February 12 1809 in Kentucky. Honest Abe was the first president to be born in a state outside of the original thirteen colonies. There are several parallels that can been drawn between Obama and Lincoln, however I will use the Gettysburg Address to tie in the Green Theme of Change that must happen if we are all to thrive in these United States. The Last sentence of the Address given by Lincoln on November 19, 1863 is as follows: ”That this nation shall have a new birth of freedom; and that this government of the people, by the people, for the people, shall not perish from the earth.” Our nation needs a new birth of freedom by moving away from living in our carbon intensive past. Most of the environmental legacy of the period since Lincoln has been based on the combustion of wood, coal, oil, and natural gas. On May 10, 1869 the last spike on the transcontinental railroad was driven into the ground and since then, we have extracted BTUs from carbonaceous material to propel engine driven vehicles or devices at an ever increasing rate. We will not stop deriving BTUS from carbon hydrogen bonds, however we can moderate the pace at which we combust fuels. 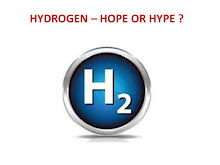 I have opined previously that is improbable that there will be significant hydrogen fuelled vehicles or power generation station in the next thirty years and that in the majority fuels for the generation of electricity and the propulsion of vehicles, trains and planes will remain carbon based. What is going to happen is that the people as well as the government of the people, by the people, and for the people will embark on a program of energy savings and efficiency improvement that will be massive. The Ford motor company should in honor of Abe’s 200 birthday and the billions of dollars we are likely to have to give them, reengineer the Lincoln brand of vehicles. It is not a fitting testimony to the sixteenth president that gas guzzlers are named in his honor. I pray that if in 100 years time a vehicle is named the “Obama” it will have better gas mileage than the Model T. There is not a single 2008 Lincoln vehicle that exceeds the gas mileage of the 1909 Model T.
Do fat geese add to our carbon burden? Happy New Year! The first episode of Green Machine for 2009 deals with the most common New Year’s resolution, that of losing weight. Gras is the French word for fat so it is fitting we honor Gras as the G word of the week now that we have all resolved to lose some weight. I have previously written that one requires an extra mile of blood vessels for each pound of fat cells in our bodies. Losing weight is also good for improving our fuel efficiency, as our vehicles require less power to move lighter bodies. I read the grossest news clip on Boxing Day. Craig Alan Bittner, a plastic surgeon in Beverly Hills (Heavily Bills that is) was using the fat he liposuctioned from patients to produce bio-diesel for his girlfriend’s Lincoln Navigator SUV. This is illegal in California as we do have laws governing the disposal of human medical waste. Bittner boasted on his website that he invented “lipodiesel”. It is quite amazing that Bittner believed his green efforts advertised on his web site would promote business rather than incurring the long and fat arm of the law. Another common New Year’s resolution is to quit smoking. As tobacco consumption has dropped so have the number of farms cultivating tobacco in the USA. The US Department of Agriculture reports that in 1954, 512,000 farms cultivated tobacco, in 2002 only 56,977 farms grew tobacco as their cash crop. In 1946 over two billion pounds of tobacco was grown in the USA. This had dropped to one billion pounds in 2002. An acre of land yields approximately one ton of tobacco per year, therefore the average size of farms has increased in the past fifty years as many small farmers simply gave up on growing tobacco. The US population has grown two and a half times since 1946, therefore on a per capita basis we are using about one fifth of the tobacco we used when smoking was a socially acceptable and an even encouraged pastime. Kansas was the last of the states to end prohibition on smoking of tobacco back in 1927. The cost of a pack of twenty cigarettes was at parity with the cost of a gallon of gasoline for most of the twentieth century. Back in 1946 this cost was twenty cents. In the 1960s it was fifty cents. In the mid to 1980s the Feds, state, and local governments placed far heavier taxes on cigarettes because of the burden on healthcare costs that smoking was causing. If only these governments had the wisdom then to have taxed gasoline as heavily as cigarettes the Hummer would possibly have never seen the light of day. For a while in July 2008 the cost of a gallon of gasoline again reached parity with the cost of a pack of twenty cigarettes, but with the precipitous drop in oil prices gasoline is again far less expensive than a pack of cigarettes. If wasting energy carries the same stigma as smoking, then the US will easily halve our energy consumption in the next twenty five years. I propose we have the position of “Engineering General Of The United States”. The Engineering General should be allowed to post in bold letters on any energy wasting vehicle: – “Warning The Engineering General has determined that operating this vehicle will cause damage to our collective health”. Did you all know we have an acting Surgeon General and his name is Rear Admiral Steven Galson MD? I hope that President Elect Obama appoints a full time rather than acting Surgeon General and that the post of Engineering General is soon created. Unfortunately the only general we have at present working on energy efficiency is General Motors, a half star general. This episode of Green Machine is the final one for 2008. What a year it has been! Thank G it’s over. Gasoline prices peaked in the summer and are now down to the price they were five years ago. General Motors and Chrysler are on life support and President Bush had to step in where congress refused by offering a bridge loan to these two once mighty companies. The bridge loans will only provide sufficient liquidity until President Obama take office and more money will be needed in February. Time Magazine does a person of the year. Green Machine follows suit by nominating the G Person of The Year, and without a doubt the G Person for 2008 is President George W. Bush. George’s Dad was also President of the USA and had the full name George Herbert Walker Bush (GHWB). His son will be remembered as George Herbert Hoover Bush (GHHB). Green Machine believes that young GHHB went off the rails by his nomination of two totally incompetent Energy Secretaries. His first Energy Secretary was Spencer Tracy Abraham who lasted the entire first term with zero accomplishment. Spencer had lost his senate seat in Michigan in 2000 so he was out of work when he was chosen by GHHB for Energy Secretary. Spencer was chosen Energy Secretary for the single reason of being of Lebanese decent and GHHB believed that Spencer would have great working relationships with the Movers and Shakers (I would spell this Sheikers) of the oil rich Middle East. Spencer had zero knowledge of thermodynamics and was of no consequence except for helping the US disregard the Kyoto Protocol on global warming gases. The Bush first term was almost entirely focused on the post 9-11 response and the wars in Afghanistan and Iraq as well as the global war on terrorism. Spencer left office in February 2005 to become a consultant. I can only imagine how well his clients have done. Had we opted into Kyoto in 2001, GM and Chrysler would already have fuel efficient vehicles and would not need a bailout. GHHB’s second energy secretary, Sam The Sham Bodman, has already won the Green Machine’s Gangrene Prize. What make me particularly mad about Bodman is he has a PhD in Chemical Engineering and unlike Spencer the Dispenser he had a full comprehension of the laws of thermodynamics and simply chose to ignore them for political gain. Now that I have lambasted the Energy Secretaries of the past eight years I will point to Harvard MBAs next. The three most incompetent MBAs from this prestigious school are GHHB, Hank Paulsen, and Rick Wagoner. All three of these HBS alumni have in large measure contributed to the current economic malaise. If I have to pick the least impressive one of these three, it is Rick Off The Wagon Wagoner. He is the magician of the year by making GM disappear. There is great debate whether hell is exothermic or endothermic because we have the sayings “hotter than hell” and “when hell freezes over”. I will have to opine on this in a future episode of Green Machine now that our economy and environment is going to hell in a hand basket. I anticipate that 2009 will be a better year and there is no way possible that the next President, next Energy Secretary, and next Chief Executive Officer of GM will ignore science and the melting Arctic Ice Cap and believe the marketing of Hummers are good for the economy and environment. 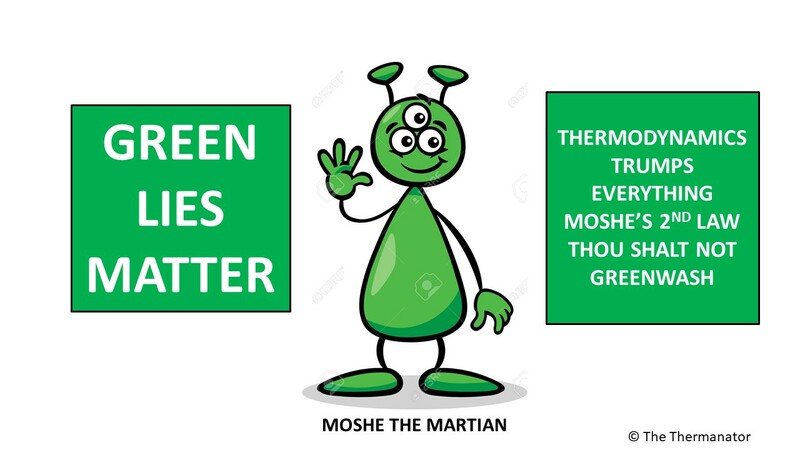 I wish all Green Machine enthusiasts a happy, healthy, prosperous, and low carbon footprint new year.